Setting aside the Blockhaus climb, this ride includes few Grand Tour legends. 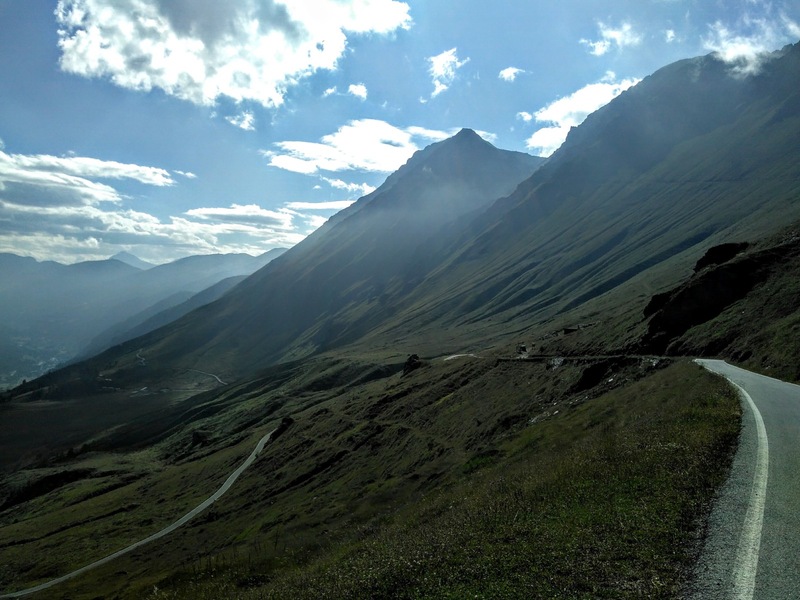 Neither does it include many climbs higher than 1600m. Nor does it have many kilometres of that perfect, smooth, dark Italian tarmac. What it does have, though, is perhaps the greatest sense of ‘journey’ of any CCC. The landscape is so varied. 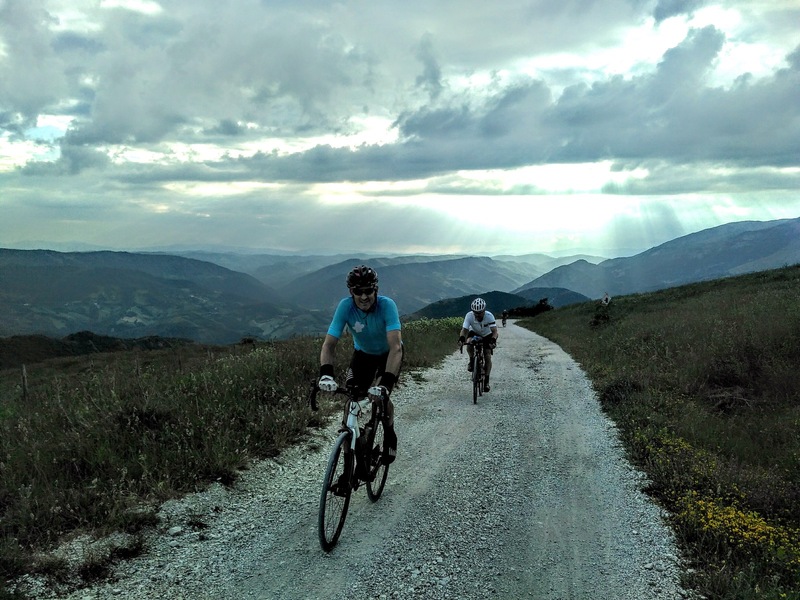 The roads take us to some very, very remote places ; gravel climbs feature several times and the rough tarmac typical of the poor Marche and Abruzzi regions we ride through can often be a challenge in itself. The Gran Sasso opens it’s roads to us on two Stages and for these days alone this trip will prove to be unforgettable. 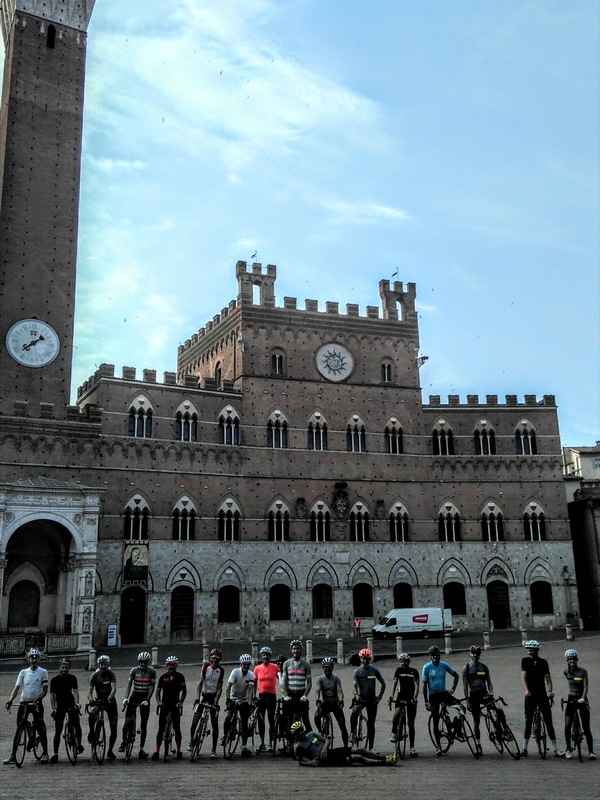 Apart from one Stage in the reassuring ‘civilised’ beauty of Tuscany, the rest of this event scares and excites me equally, as an organiser and a rider, such is the unusual, and unpredictable nature of this part of Italy. Truly a voayage of discovery - the perfect way to illustrate what a Cent Cols Challenge is all about. We had people from past trips watching us on social media. That’s something pretty special, and something pretty difficult to create. It’s also something that wouldn’t happen with other events. 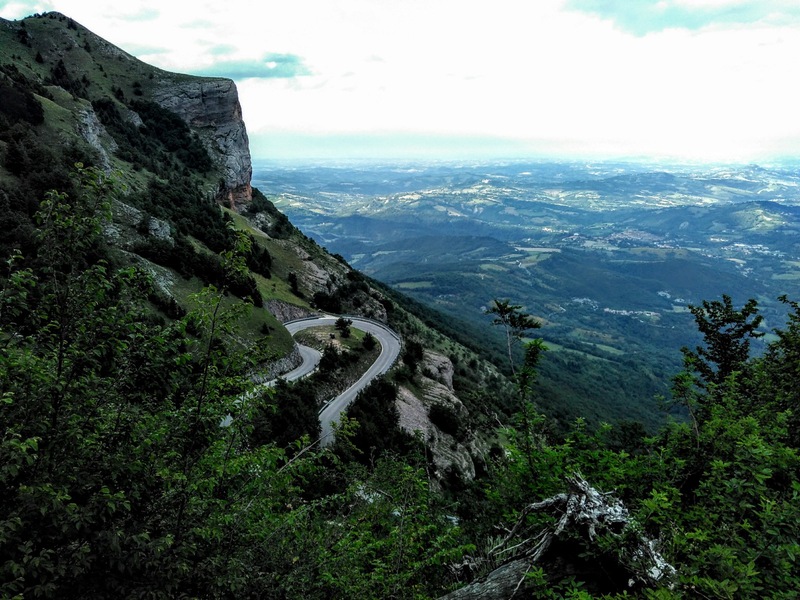 “The most mental thing I ever saw on Strava…” said a friend. He’s got a point about it all being a bit crazy. It was. And that’s why it was so great. Opening the parcours on the forgotten roads north of Lucca, today takes in the northernmost part of Tuscany. 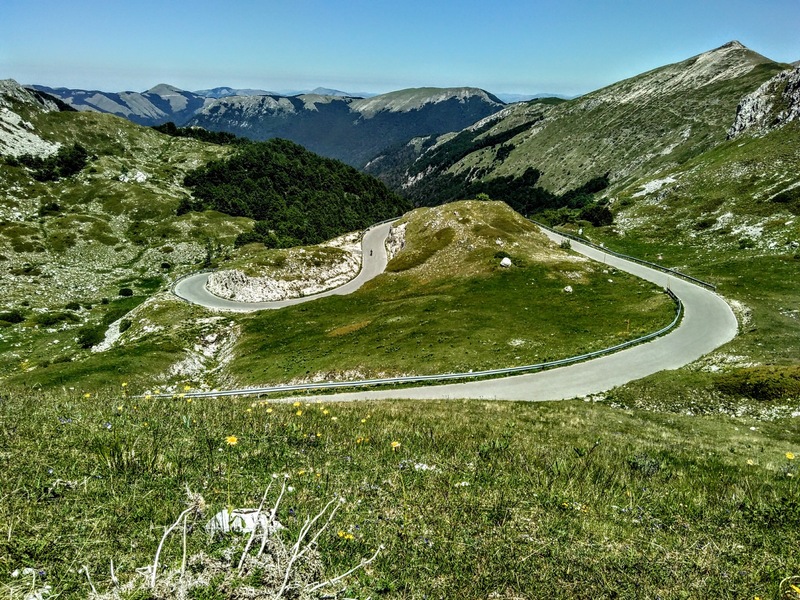 The infamous Passo San Pellegrino — with several 18% ramps — is the days hardest challenge, and brings us in to Emilia-Romagna for the latter part of the ride. After a relatively gentle start, with a rare 25km flat section, we climb into the glorious, remote Casentinesi Forest National Park. A combination of ancient forests and gravel climbs characterise this untouched part of central Italy. 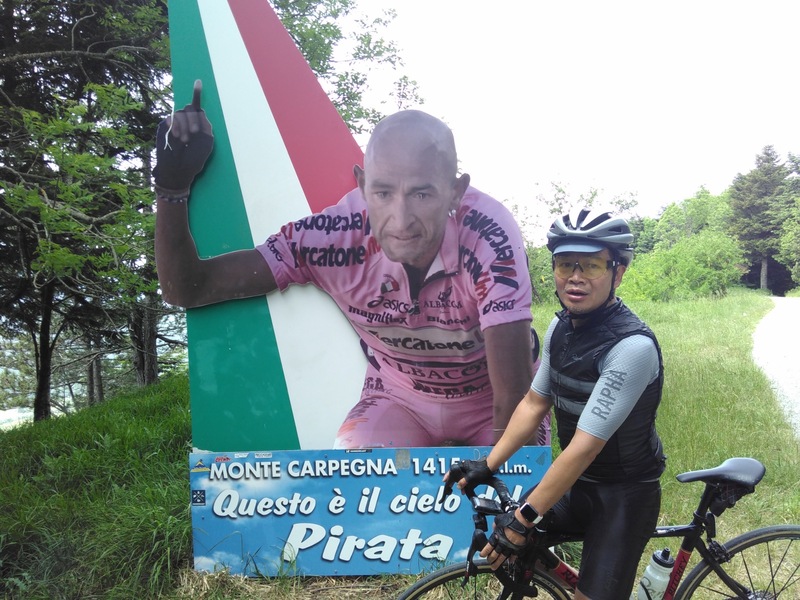 Arriving in the Marche region, we start with the charismatic Monte Carpegna,where ‘Il Pirata’, loved to train. 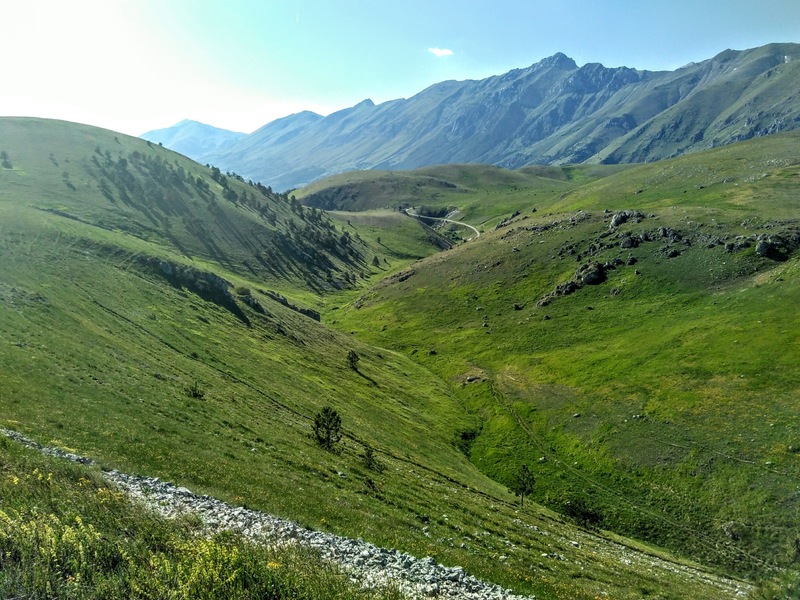 Monte Nerone leads to a beautiful plateau populated by wild horses, before scaling the gravel of Monte Petrano earns us a perfectly tarmaced final descent. Another wild stage in the Marche region, with a mix of densely wooded valleys, rocky gorges, and rolling roads with only occasional signs of human activity. After a day characterised by shorter climbs, the stage ends with an epic 16km climb over the Passo Maria Maddalena. The longest stage of the challenge, we enter Abbruzo, a region still scarred by recent earthquakes. 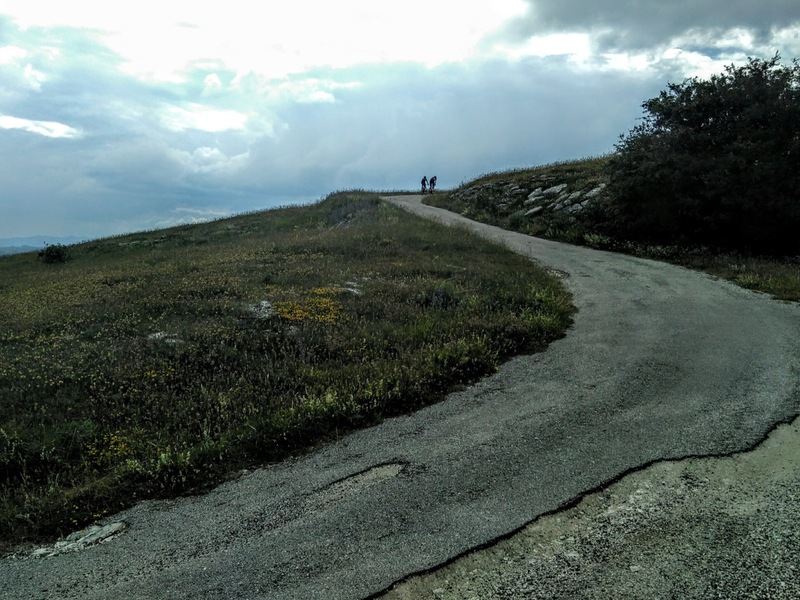 The 28km climb up to the beauty and grandeur of Gran Sasso National Park, which includes the highest mountain in the Apennines, is the longest of the trip. The mighty Blockhaus climb dominates this stage. 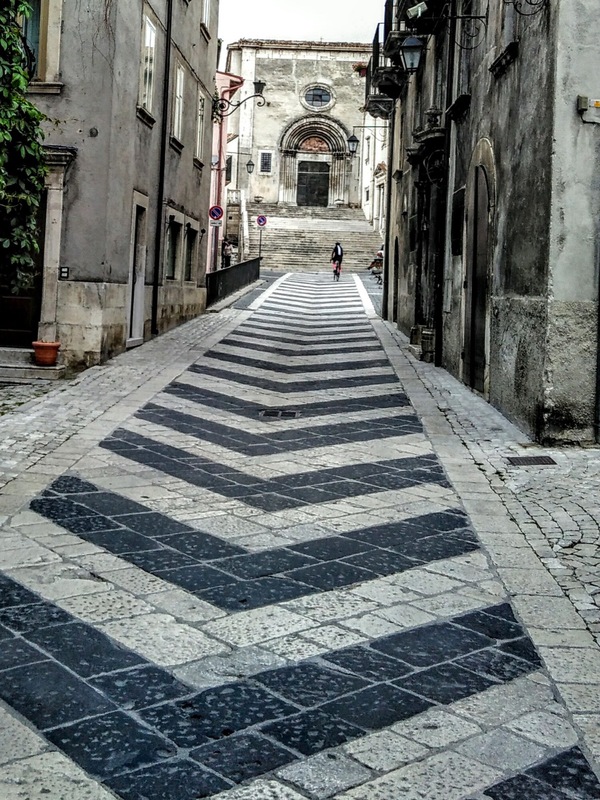 Tackled by its toughest side, it also affords the best views of the Abbruzzu hills to one side and the Adriatic Sea on the other. Our stage ends on the shore of the largest lake of the Abruzzo region, Lago Barrea, after a final climb, naturally! Having touched the southernmost point of our route, we ride north through gorges, around lakes and passing through small towns. 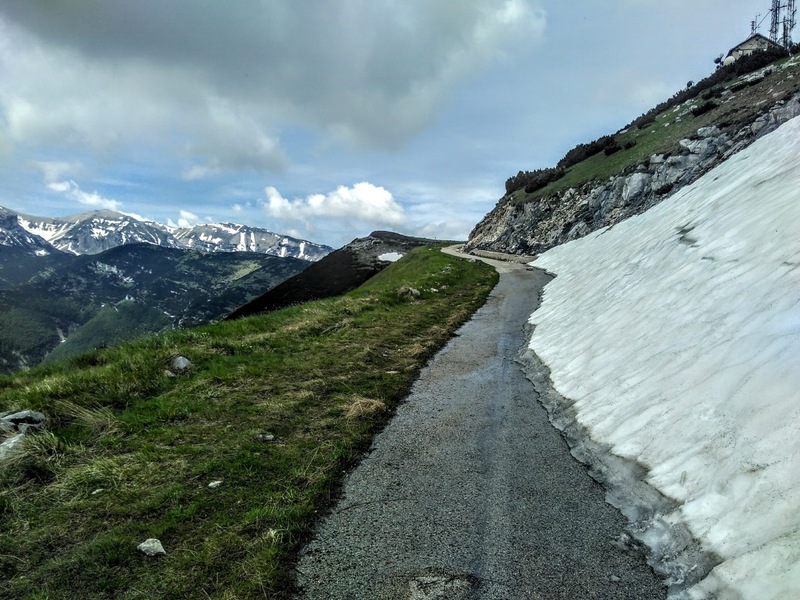 Today’s route ends by climbing back in to the Gran Sasso National Park, heading over the barren plateau of the Monte Cristo. Leaving the rugged terrain of Ambruzzi behind, today’s route winds through Lazio and Umbria. Quiet roads, woodlands and smooth tarmac characterise the riding. 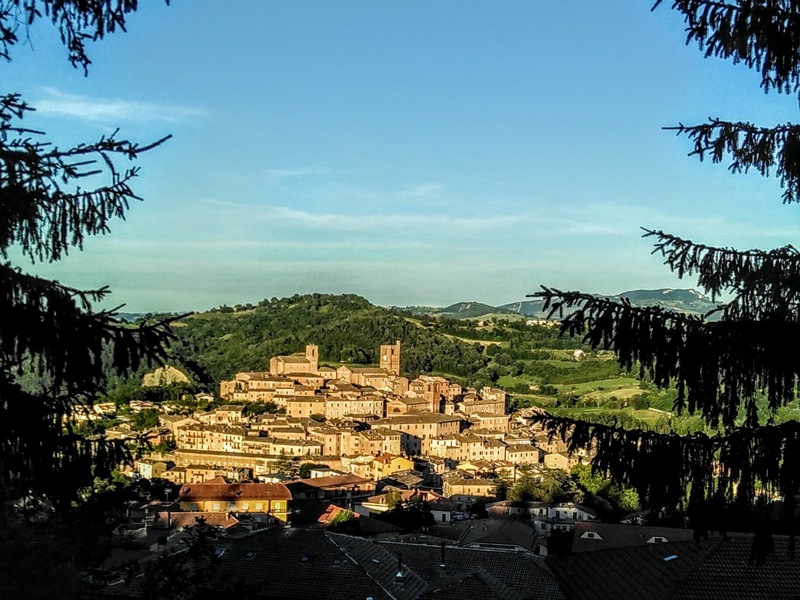 The latter part of the day takes in a 4km section of the renown Strade Bianchi before ending in the medieval hilltop town of Todi. This long stage brings us to the cypress-lined gravel roads of Tuscany. Whilst the surface may be uneven, the climbs are long, shaded and steady. The formidable Monteluco climb is too good to miss, even though it adds distance to our final stage. 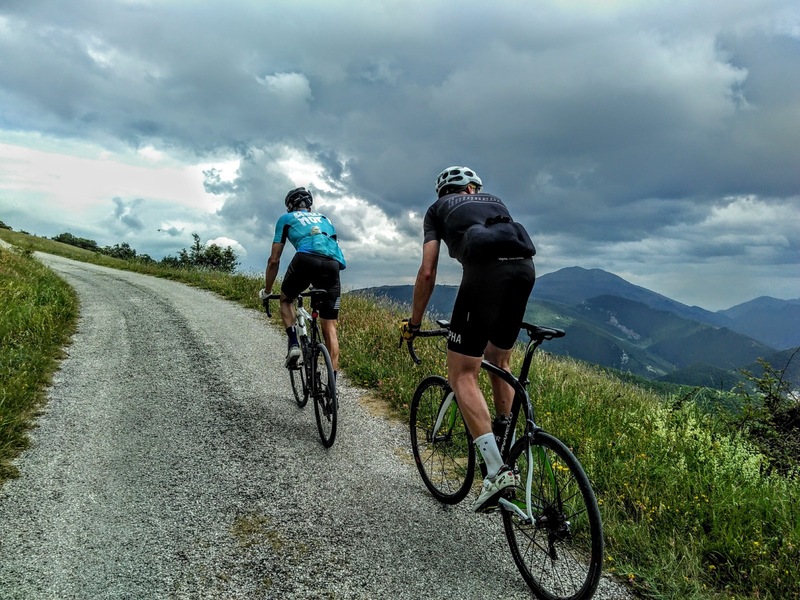 A couple of gravel sections are mixed in with rolling valley roads before we end with a 12km climb to an incredible view over Tuscany, a fitting finish for our journey through this unforgettable part of Italy.